Child abuse cases are sensitive, emotional and stressful cases and you need a lawyer who can deal with the stress and strain on your behalf. They need to be the fighters who will keep the best interest of the child as a priority. An outstanding lawyer will meet the specific criteria for making sure the children get the justice they deserve. You need to have a similar personality and style of your own. This quality makes you easier to approach and to share similar views on the way you want to approach the case. You have to be candid about the chances of obtaining an outcome on particular issues. If the clients are doing something wrong, you should tell them and advise them on the right thing to do. You should be able to have constant communication with your clients, providing them with any updates or changes to your case especially if they will have an impact on them or the child. You need to have enough experience with the judge, the law and other lawyers for you to intelligently analyze the probabilities in cases. You should be able to discuss with your clients what you know and what you don’t know about the judges who are handling the case. You need to be well informed and knowledgeable of all the law issues and facts that apply to the case. It is important to be assertive or to attempt a compromise between parties in an appropriate way. Confidence helps you to take a reasonable position and try a peaceful resolution early to avoid tension and unnecessary drama in the case. You need to be calm and respectful when you are in court and in front of judges. This quality enables you to stick to your facts and plans which can make a big difference in court. You will also get your emotions in check. You will be able to put your strategies into place before you enter the courtroom to avoid loss of your feelings. You have to work to identify the problems and get a solution to them. You need to counsel, advice or make a trial in front of the judge. Avoid talking in terms of winning and losing. 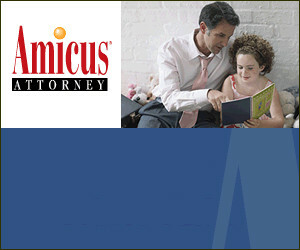 Therefore, you assure the clients of getting real solutions to child abuse cases. Finally, you need to provide honest answers to your clients and make sure that they understand. You have to use efficient software programs to make useful, and intelligent decisions.